Just Listed :: Charming Two Bedroom Condo in Sandy Springs! 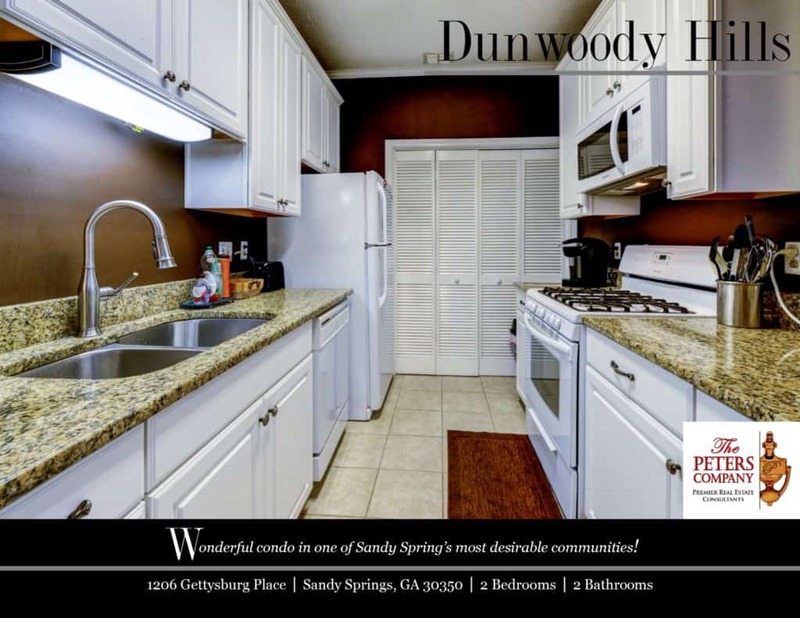 Welcome home to this charming two-bedroom, two bathroom condominium in the wonderful Sandy Springs community of Dunwoody Hills. Easy access to GA400, I-285, and Roswell Road makes virtually all commutes a breeze. You’ll enjoy being only minutes from many nearby restaurants and shopping spots! Outdoor enthusiasts will love being close to multiple parks and the Chattahoochee River! · Recently remodeled kitchen features new cabinets and granite countertops. · Separate dining area perfect for casual meals or entertaining guests. · Spacious living room has cozy gas fireplace and wall of windows that lets in tons of natural light. · Crown molding, 9ft. ceilings, and wood blinds throughout. · Master suite is complete with a spacious walk-in closet and bathroom with updated tub/shower. · Secondary bedroom with private bathroom is well-sized and bright. · The covered deck provides additional living and lounging space and overlooks the peaceful pond with fountain. · Two unassigned parking spaces. · Personal storage unit included with property. · Additional amenities include a pool and tennis court. ← Just Listed :: Amazing Views in Buckhead's Eclipse!